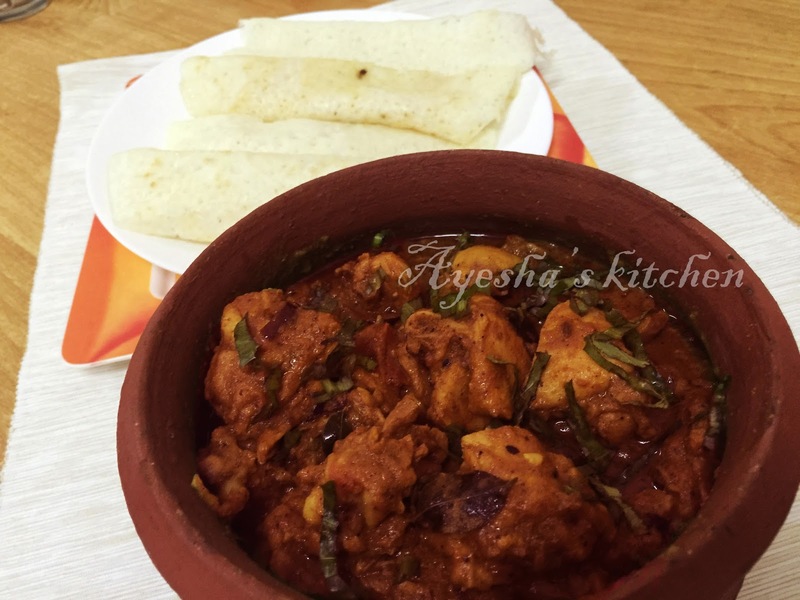 This traditional chicken curry is packed with the flavor of traditional Malabar chicken curry made in clay pots. Cooking in clay pots adds the taste to the curry. 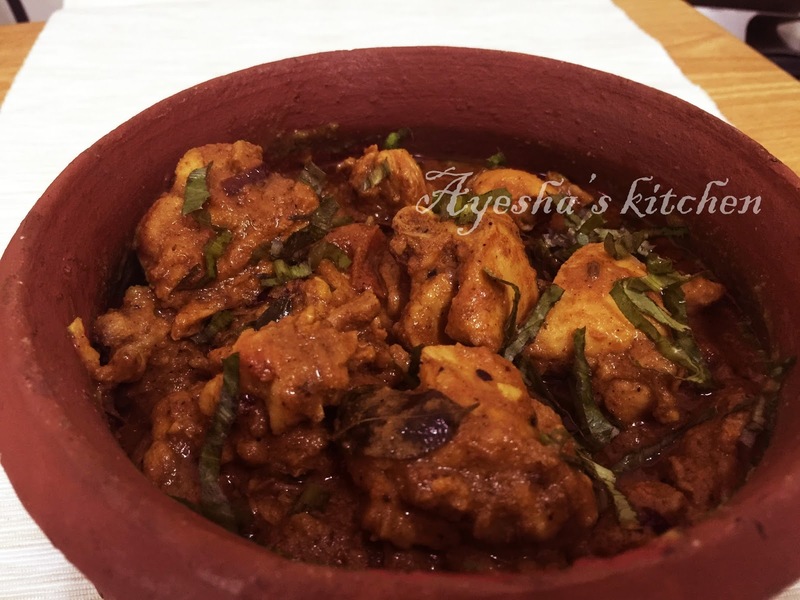 CHICKEN CHATTI CURRY, the name itself indicates that you have to cook in the chatti or earthen pot ( clay pot). So let's see how to make chicken curry in clay pots which make the curry so special. Heat oil in a clay pot (mann chatti) and when hot, add finely chopped small onions and curry leaves. Saute for a while and now add ginger, garlic, fennel seed and finally tomato. Saute well and remove from flame. Grind it to a fine paste and again cook in the same clay pot. Mix in the cleaned and drained chicken pieces. Let it cook for few minutes with lid closed. Meanwhile, heat some oil in a nonstick pan and add the spices ( turmeric powder, chilly powder, coriander powder) one by one along with the salt. Saute well in the oil until a nice smell comes and the color changes. Now add this spices to the chicken gravy and mix well. Again cook for few minutes or until the oil separates. You can adjust the gravy by adding hot water. Cook till the chicken is well coated with the gravy. Again heat some oil in a pan and fry chopped small onions and curry leaves. Pour it over the curry and keep the lid closed for few seconds.